Adam Stewart is a member of the Guelph Triathlon Club, and Realtor® with Chestnut Park Realty Southwestern Ontario, and affiliate of Christie’s International Real Estate helping home owners make the best real estate decisions in Guelph, Kitchener-Waterloo and Wellington County. As a Chestnut Park Real Estate Professional, Adam brings a personalized approach to each and every client based on their unique goals and personalities. Adam believes that understanding your lifestyle is crucial in determining your needs and where you fit in the real estate market, and is committed to providing insight into the unique challenges of the market and keeping you informed throughout the process. Adam’s direct and collaborative approach is essential in achieving your goals quickly. Are you a triathlete, occasional cyclist or a cycle enthusiast? Weather keeping you indoors? Bring your own bike to the Bike Shed Studio, at 843 Watson Road South , near Arkell Road, connect to one of eight Wahoo Kickr Snap smart trainers and use Zwift(R) to take you through a virtual ride. Classes, drop-in and group sessions are available. Gather your friends, book the space, and virtually ride together no matter what the weather. The Bike Shed also offers yoga and fitness. Need a tune up after class? Try a gourmet coffee or espresso. Does your bike need a tune up or some upgrades? Check out the repair shed or book a service appointment. 843 Watson Road South, Arkell, ON, N0B 1C0, 519 760 5828. Body Innovations emphasizes the importance of strengthening, stretching and flexibility to enhance performance and speed on the road and in the water. All three triathlon sports rely on a strong core and optimal hip flexor strength and length. The mighty Psoas (hip flexor) is the kingpin of muscles as it affects both upper and lower posture and over time influences the outcome of your performance. Our High Performance Training classes focus on challenging and improving strength, power/speed, endurance, flexibility, coordination and balance. This class will identify weaknesses in muscle movement patterning and teach you techniques to reduce the risk of injury and stress to muscles and tendons. If you wish to improve your health, fitness, and performance call or email me anytime – sue@bodyinnovations.org 519-716-0578. 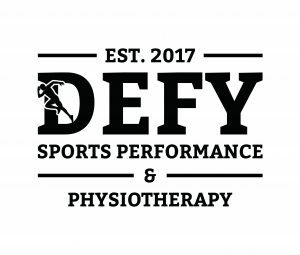 Defy Sports Performance and Physiotherapy is a multi-disciplinary facility focused on empowering clients and athletes to reach their highest potential in life and in sport. We offer many services including; physiotherapy, massage therapy, naturorpathic medicine, kinesiology, team training, group classes and video movement and running analysis. Our staff has completed numerous endurance events from 5k’s to the Ironman and specialize in helping athletes achieve the optimal balance of mobility, strength and sport specific training to reach their finish line. Embrace Open Water Swimming is poised to be a leader in the Open water swimming sport industry running programs in a professional and safe environment. There is a growing demand for learning to swim in the open water not only from swimmers but amongst the population doing triathlons in all of its distances. Being a multilingual company (English, French and Spanish) Embrace has the edge and competitive advantage as can cater to clients from Latin-America and Quebecas well as offer events in warm places over the winter in Canada. Embrace Open Water Swimming is a company that works in a collaborative way with other multi-sport institutions, clubs and companies. Together, we provide advice, information and guidance on recreational and competitive open water swimming and triathlon where athletes experience positive life changing adventures while working towards their goals. Fashion Lighting is Guelph’s Largest Lighting Selection and has been for over 40 Years. They were voted Guelph’s Favourite Lighting Store by the Readers’ Choice Awards 7 years in a row. Why, because they are more than just a lighting store. L.E.D. Bulbs, Home Décor, Pillows & More….. Fashion Lighting is a family owned establishment and proud supporter of the community since 1977. Each day they open their doors, their focus is to help you accentuate the beauty of your home. Their friendly and knowledgeable staff are ready to assist you in making the right choice for you and for your home. Fashion Lighting has a spacious showroom with a wide range of lighting with styles from modern to traditional in a variety of price ranges. Their suppliers’ catalogues are available to widen your search for the perfect light for you. Whether you’re building a new home or renovating, illuminate your rooms with something special. Whether you are looking for that perfect gift or unique fixture. Drop in Fashion Lighting downtown Guelph and browse their large selection of lighting and gifts in their spacious showroom. Fashion Lighting is a proud supporter of the Heart and Stroke Foundation, Liver and Kidney Foundation, United Way, Big Brother / Big Sister, Knights of Columbus, Multi-Cultural Festival, Church of Our Lady Restoration Fund. Supporter of the Guelph Storm, Guelph Junior Storm and Guelph’s Rotary Dream Home. Print has the potential to influence your customers. When ads, brochures and other print material is created with purpose and done well, it will attract more leads and business. 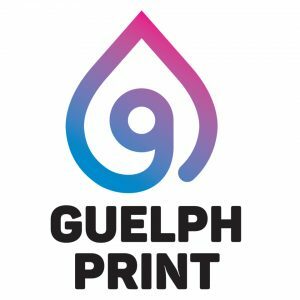 That’s what Guelph Print does—we are experts in specialty printing. And if our experience has taught us anything, it’s that companies that invest in print see a return. No one knows print better than we do. What does “One Tooth” mean? In an ancient tribe near the company founders’ home town went an old story that if you told a lie you’d lose one tooth. Being that he wanted to build an ethical business he named it One Tooth as a reminder of this philosophy of goodwill. This locally owned and operated business prides themselves on being part of the Guelph community and helping promote an active and healthy lifestyle. Purveyors of affordable, high quality, competitively priced, fashionable and comfortable clothing. They feature a wide selection of superior clothing and products for both men and women. Versatile enough to be worn on the mat, to work, or wherever your lifestyle takes you. Speed River Bicycle has been serving Guelph and the surrounding community for 25 years. We have a strong service focus and prioritize getting people onto bikes that fit the individual’s body, and purpose, perfectly. We size every bike that we sell and we offer a broad array of fit services for the client that has more specific needs including pre-purchase fits and fits to help you get the most power out of your bike. Love your bike but want to upgrade your components? We can help with that. Whatever your cycling needs are, the team at Speed River Bicycle is here to help you make your cycling even better! Guelph’s running and active lifestyle specialists. The Running Works is Guelph’s only locally-owned and independently operated speciality running store. Conveniently located at Wellington and Gordon Streets, they carry a wide variety of products for running, walking, triathlon, fitness, yoga and more. Their knowledgeable staff are available to help you navigate the world of footwear and other fitness products. Want to try before you buy? The Running works hosts shoe demo days throughout the year. Ready to geek out? The Running Works carries electronics for tracking or listening to music while you rack up the miles. New to running? Want to improve your time? The Running Works offers a variety of running clinics and instruction as well as free run groups. Guelph Triathlon Club (GTC) is a non-profit organization dedicated to the pursuit of lifelong health, fitness and happiness for its members through the provision of safe, affordable and effective triathlon training. GTC would like to offer you and your organization the opportunity to become associated with our club by way of sponsorship. All sponsorship funds will go 100% into the club’s operating costs. GTC operates throughout the year, with a membership of nearly 100 members, from beginners to experienced athletes who train to compete at a wide variety of events from local races, to long distance Ironman events, and the International Triathlon Union’s World Triathlon/Multisport Competitions. GTC is fully aware of the responsibility to our sponsors to ensure they receive a return on the sponsorship invested. We therefore look to make the relationship one in which both parties will continue to prosper to get the very best by way of added value. If you require any further information or if you have a particular program of your own that you would like to discuss, please do not hesitate to contact us.